The last Dante winner to follow up in the Derby was Authorized back in 2007 although Workforce finished runner up in this afternoon’s fascinating Group 2 York feature before landing the premier colts’ classic back in 2010. If there has been a better renewal of the Dante I certainly can’t remember it and make no mistake this is a race to savour. Elm Park was unbeaten in his last four starts as a juvenile culminating with an impressive win in the Group 1 Racing Post Trophy and he has been well supported for the Derby in recent days - 10/1 at BetVictor - but there are mixed messages about his recent homework and he is overlooked on his seasonal return. John Gosden saddles two the unbeaten pair Golden Horn and Jack Hobbs (3.15) and, despite a modest draw in stall eight the latter gets the vote. Yes it was only a handicap he won at Sandown last time but he could not have been more impressive and his winning time compared favourably with the older Western Hymn who scored over the same C&D earlier in the day. He is currently 9/2 favourite for the Derby at BetVictor and those odds will obviously contract if he comes through this stern test with his unbeaten record intact. Ol’ Man River never got competitive in the Guineas on his seasonal debut and it is hard to recommend a horse who finished tailed off on his previous start. He can only improve but John F Kennedy looks the stable first string for Aidan O’Brien and he looks sure to come on a bundle for his defeat in the Ballysax Stakes on ground softer than ideal last month. The Middleton Stakes is the other Group race on the card and Secret Gesture (2.40) finished runner up in the corresponding race last year and can go one better for Ralph Beckett who has his string in such good form. The fact that connections have kept the five-year-old in training suggests they feel there is more to come from the mare and any significant rain would be a plus. At Salisbury, She Is No Lady (3.25) can shed her maiden tag at the third attempt having finished runner up on debut to a subsequent Listed winner at Nottingham. She was highly tried on her only subsequent start in listed company and will be tough to beat although there are a couple of well -bred newcomers in the field including Stoute’s Cryptonym. At Fontwell this evening, Desertmore View (7.15) looked a Hunter to follow when scoring at Chepstow last time over 3m and connections must feel he can take the drop in trip in his stride. The ground is currently good at the Sussex track but he wouldn’t want the ground to deteriorate too much. At Perth, the likelihood is that Russian Regent, in action last night, will not make the line up in the 2m4f chase and Royal Macnab (5.10) is taken to follow up his recent C&D success from a 6lbs higher mark. The selection didn’t jump as well as he can on that occasion but is a progressive, consistent sort and is taken to make all. 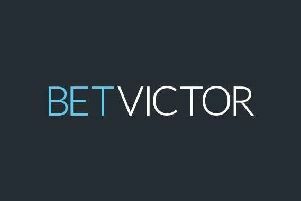 For all your racing needs check out BetVictor.com or follow us on Twitter @BetVictorRacing.